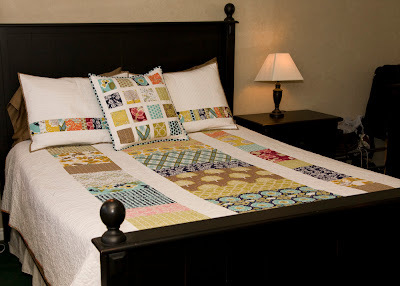 I finally finished our new quilt and pillows for our bed. Before we had a plain tan duvet cover with matching shams. It was feeling really blah to me, plus our duvet had seen much better days. 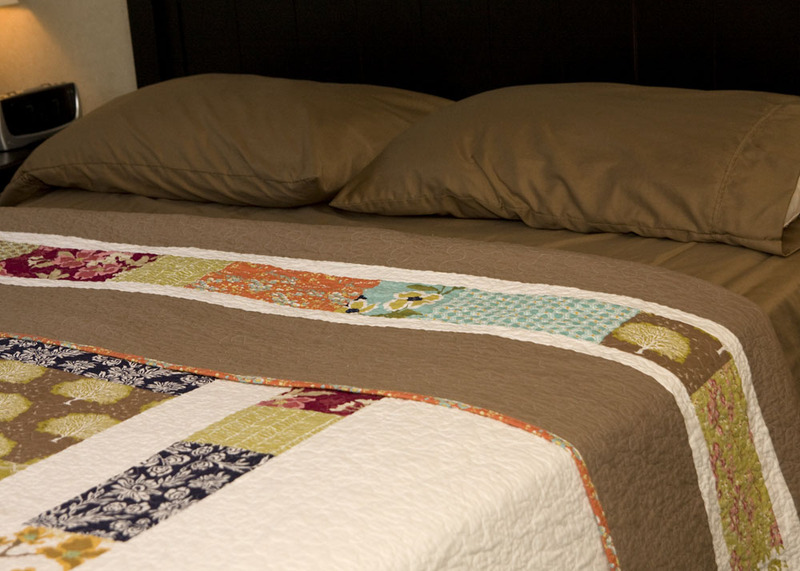 I've wanted to make a quilt for our bed, but doing a queen quilt sounded very overwhelming. I have been looking for ideas for months, then came across this pattern from Oh Fransson. It was perfect. I wanted something simple. 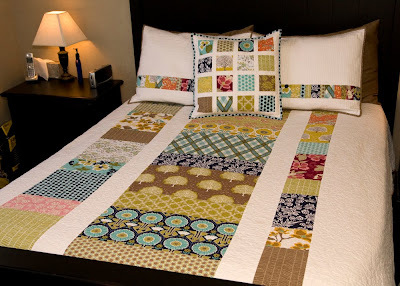 Her pattern calls for 12 fat quarters and two sheets. I ended up using 20 fat quarters because I wanted leftover fabric for the pillows as well as a throw quilt I plan to make for me for winter. I always need more covers than Ryan so I figured I would just make a matching throw for myself. 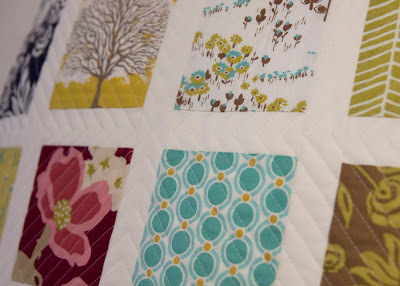 All the fabrics are from Joel Dewberry's line Modern Meadows. The sashing is Kona white. I didn't want to use a sheet on top. Of course there are pillows to match. I love how the square one turned out. It's inspired from this pillow. I really like the effect from the quilting. It's a bit hard to see in the photo though. I did straight line quilting on the shams, though one is quilted horizontal and one vertical. 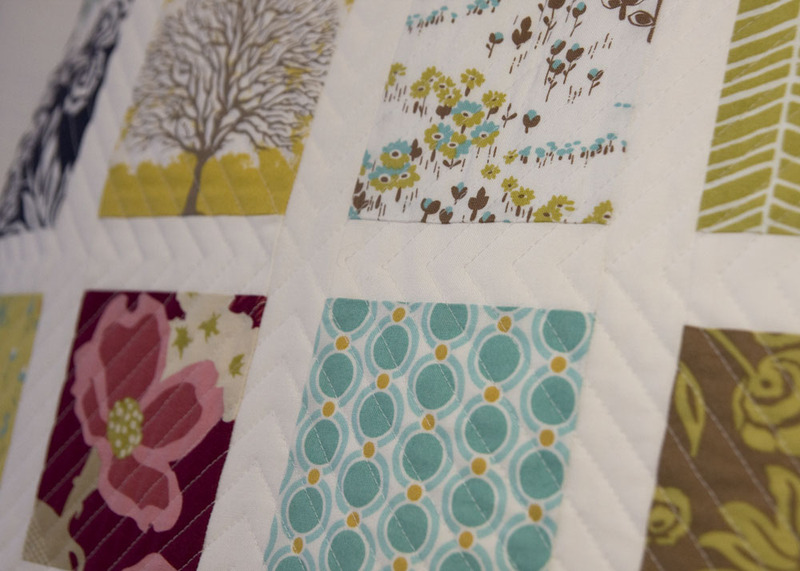 Finally, no quilt back is complete without some piecing. The pattern recommended using just a flat sheet, but I couldn't make a quilt without detail on the back. I did a pieced strip about 12 inches from the top that shows when you fold down the bed. The brown fabric for the backing is a flat sheet from Target. It's beautiful, Kati. I love the stripe on the back (smart planning to have the tree appear right-side up when the bed's turned down) and that brown is gorgeous! I love the pillows. And the quilt is beautiful too. This line looks great this way. Nice job! This is such a beautiful quilt and I love the square pillow. The tree fabric is so lovely - I have to have some! Wow this is beautiful! I will have to make one for myself. And I love the pillows too! This is amazing! I somehow missed this pattern even though I follow that blog. Thank you so much for sharing this. Wow, this is so gorgeous! 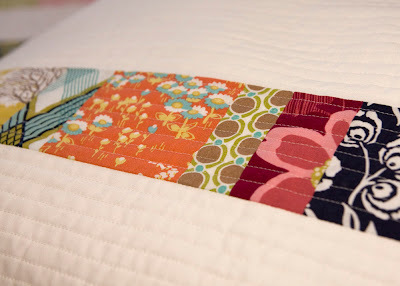 I love that pieced back strip that you added. 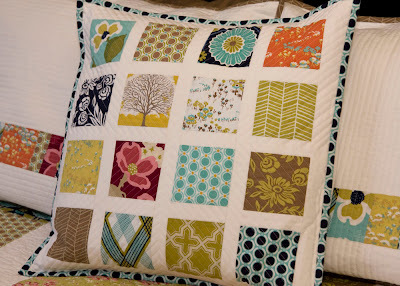 And the pillows, quilting...love it all! I follow Elizabeth's blog too and somehow missed this one so I'm so happy to have seen yours. Great job! I'm impressed. 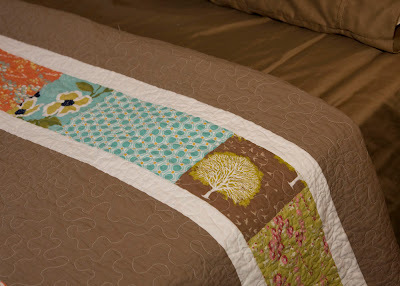 I feel just a bit more motivated to quilt a large quilt that has been on my to-do list for far too long. I just ran across this quilt on flikr. It's stunning! Oh wow! This is absolutely gorgeous - I love the fabrics, the design, the quilting. 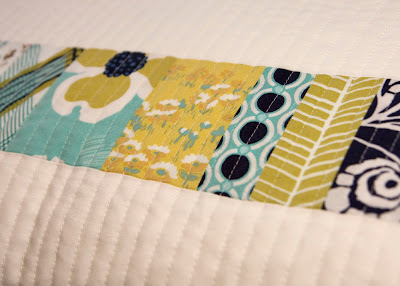 This is great inspiration for a new quilter! this is now my next quilt! thanks for sharing! How much Kona white did you need for the quilt top? I also plan on purching fabric for the back, how much do you think I need? Incredible! I love the square pillow and really like your idea of the pieced strip on the back for turning down the quilt. I think I may have to do all my quilts like this! Stunning! My husband even took a look and liked it!!! !